Builders of The Most Fun Vehicle on the Planet! In 1999, WaterCar started as a personal challenge to build the world's fastest amphibious vehicle. Our early WaterCars were purpose-built vehicles, to be very fast on both land and water. After January, 2010, when WaterCar established the Guinness amphibious speed record with our Python model, our attention turned to reliability and we began designing a vehicle to offer to the public. Fourteen years, countless successes and failures, 27 patents and untold labor hours later, our personal challenge has been achieved. The Panther, our first WaterCar to be offered to the public, was created by our WaterCar team which is made up of top designers and technicians from around the world. Throughout the Panther's development, the commitment was to engineer a versatile amphibious vehicle built with proven off-the-shelf components that are recognizable throughout the automotive and marine industry. Our WaterCar team has achieved that goal. During our development years, we were continuously approached by people around the world who wished to purchase a WaterCar. While we were flattered by the apparent market acceptance, we did not feel we had attained a level of reliability and maintainability consistent with our personal standards and those of our prospective buyers. It was difficult to say no for all those years, but the team was adamant that they would not sell a product that they would not purchase themselves. In 2013, the team realized the Panther achieved the quality, reliability, and maintainability that allowed them to offer the Panther for purchase. Each Panther is a custom vehicle built by an incredible team of professionals who take great pride in what they build and how it ultimately performs. Each one is unique. 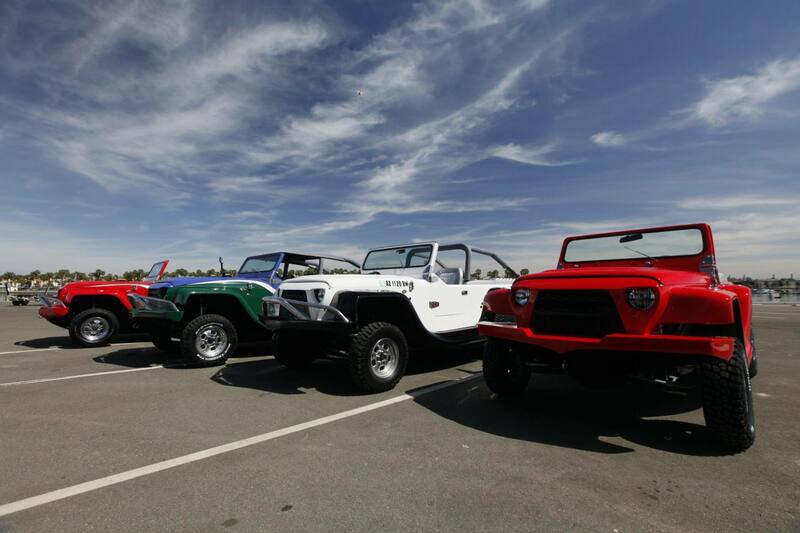 We encourage each buyer's active participation in the final appearance of their vehicle. The range of interior and exterior fabrics, colors, and graphics is unlimited. WaterCar's ultimate goal is to build a vehicle that is a source of enjoyment to you and an ongoing source of pride to us. We look forward to working with you to build your dream Panther!